Villa In The Heart Of Coral Bay Village With Private Pool. Heated . Property 52: Villa In The Heart Of Coral Bay Village With Private Pool. Heated . 25% off in May to 13th June 2018!!! Property 61: 25% off in May to 13th June 2018!!! Luxury 4 bed Villa. Heated pool. Sea Views. Wifi. No car needed. Property 71: Luxury 4 bed Villa. Heated pool. Sea Views. Wifi. No car needed. Property 74: Detached Villa with private pool and beautiful gardens, fully air conditioned. 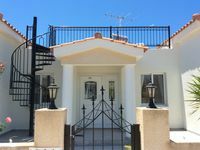 Property 82: Spacious detached villa. 3 double bedrooms Close to Coral Bay strip and beach. Property 98: Beautiful Secluded & Private Four Bedroom Villa With Private Pool In Coral Bay.